A huge shout out and special thanks to all our wonderful brides, grooms and bridal parties around the world featured below. Coming from various part of the world and New Zealand, we have been so fortunate to meet so many wonderful couples and their families! With over eleven years experience between us, it’s fair to say we have shot a lot of weddings! At NVP photo video productions, we love what we do and continue to feel so grateful to be a part of these special days. We hope you enjoy looking through all the photos below. Below are links to past weddings we have enjoyed shooting. There are a range of weddings here from all over New Zealand. 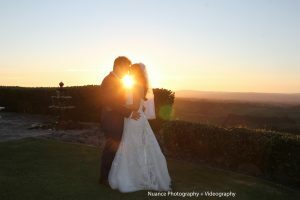 We have past weddings you can view here from Auckland, Coromandel, Queenstown, Hamilton, Rotorua and Taupo and even a few from Fiji, Tahiti and New Caledonia. Send our team through an email at info@nuancephotography.co.nz. Choosing the best photographer for your wedding is important as your choice will fill and integral part of your day. Viewing a lot of past weddings is crucial to make a qualified choice. This is why we offer so many past weddings to view. Enjoy!